YouTube is the largest search engine after Google. Millions of people watch YouTube videos every day and people find the videos with the help of YouTube search engine. 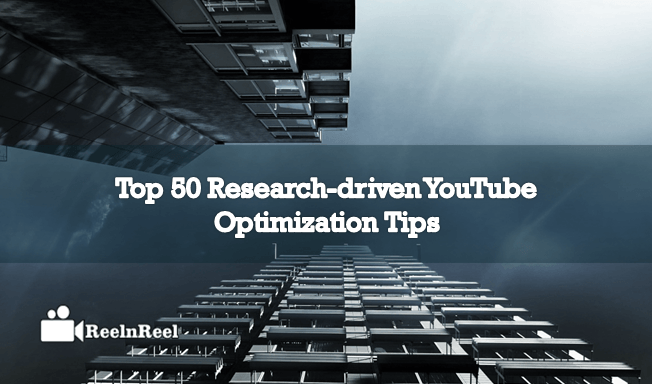 Follow these YouTube optimization tips to get a higher rank in search results. 1. The first thing to do before uploading the video to YouTube is to see that the file and title of it are the same. 2. Include the right keywords in the title. 3. Add the brand name or the company name in the YouTube channel name. 4. Allow people to find your YouTube channel by searching your email. 5. Also, write the proper description and add related links. 6. Choose the right category relating to your video. 7. YouTube video title should be of around fifty characters. 8. It should include the target keywords. 9. There is a lot of competition on YouTube platform and so ensure that your video is descriptive to stand apart from other thousands of videos. 10. The description of the video should be compelling. 11. It is also a good idea to update the title overtime and including the trendy keywords to it. 12. The video description should be of 160 characters. Also, have relevant keywords in the description along with relevant links. 13. Use annotations to link your video to other related videos or request the audience watch your playlist or subscribe to your channel. 14. An easy way to share your content with the audience is to create your own YouTube channel. 15. Using the playlist feature, the YouTube channel can be customized and it also allows people to subscribe to the playlist also. 16. Share your YouTube videos to your social working sites such as Facebook, Twitter etc. 17. Use the company or brand logo on the YouTube channel. 18. The viewers will recognize that the account is genuine with the branding. 19. The YouTube channel content should be engaging and of high quality. 20. Select one video as the featured video on the YouTube channel page. 21. Ensure that the featured video is playing automatically. 22. Write your video titles including the company name and the keywords related to your video. 23. In the description, add the website URL. 24. Give the social media sites links in the description. 25. Every video that you upload should have an appealing thumbnail. 26. Embed the YouTube videos in several of your blogs and websites. 27. To improve watch time, provide worth watching content to your audience. 28. Do not create a video that is overtly promotional. 29. Let the YouTube videos you create be of an emotional or educational type. 30. Help the search engines and also YouTube to understand the video content by optimizing the title. 31. Identify the relevant keywords and include them in your description. 32. Use closed captions or transcript to help the audience understand the video well and use the information as they desire. These also allow the audience to watch the videos on mute. 33. Ensure that your YouTube video contain a strong call to action. 34. Most important step in optimization is a promotion of the video. 35. Embed the video on different blogs and websites. 36. Use social media to promote the YouTube video. 37. Encourage your audience and followers to interact with the videos. 38. Encourage the audience to comment on the videos and share them. 39. The more comments and the more the shares, the higher will be the video ranking. 40. Ensure that your YouTube video content is of high quality. The video should be of some value to the audience. 41. Try improving the watch time because if people leave the video in the middle, the YouTube algorithm will understand that people do not like it and will rank the video lower. 42. Encourage your audience to subscribe to your YouTube channel. 43. The more the number of subscribers, the more YouTube algorithm understands that the video content is good and people are asking for more by subscribing to the channel. 44. Respond to the comments of the audience. 45. The comments can be negative or positive. Respond to the comments and this encourages viewer’s engagement. 46. Allow people to share your video. The number of times people share your videos, the more YouTube algorithm gets the signal that the video is of high quality. 47. Not only your audience but you should also share the video to promote it. 48. Focus on increasing the “Total views” metric. 49. Get the audience watch more of your videos. 50. Upload your videos regularly on YouTube. YouTube optimization helps the YouTube video to reach millions of people. Optimization also helps to bring the video in front of right people and will rank the videos higher. Everyone might not be able to follow all of the above but practice at least few and this surely increases the views. Picovico 3.0 – The Best Online Video Maker Ever!